Zonal geranium, also called garden geranium or malva, is a nothospecies of Pelargonium most commonly used as an ornamental plant. 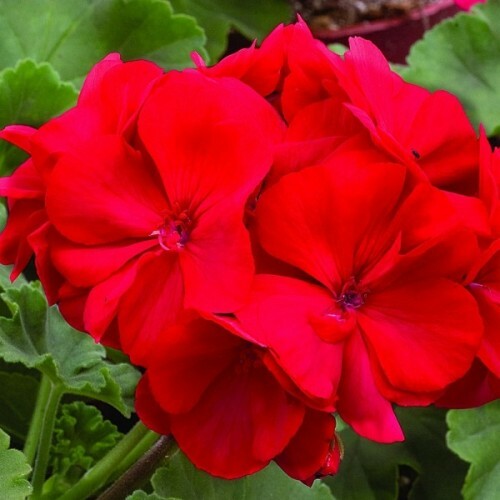 It is a hybrid between Pelargonium zonale and Pelargonium inquinans. It can easily be grown at home by cutting and planting side branches. These are stocky, large with double red flowers. They are very fragrant. They are the standard for containers or untended, hot, sunny spots where you want a long season of color. Does poorly in clay soil. Prefers slightly acid soil. Needs regular watering and fertilization for optimum performance, but will tolerate long dry spells. Approximately 10 seeds in 0,05g packet. Sow indoors from January to March. A warm kitchen windowsill is all you need for starting these seeds. Sow, 0.5cm deep, in trays of compost. Water well and place in a warm position. A temperature of +20-+25C is ideal. Keep moist. Seedlings usually appear in 7-21 days. Transplant individually, when large enough to handle, to 8 cm pots. Always hold by a leaf, never by the stem. Grow on in cooler, but not cold conditions. Gradually accustom young plants to outside conditions (avoid frosts), before planting out, May-June, 25 cm apart, into well-drained soil, when frosts are over. 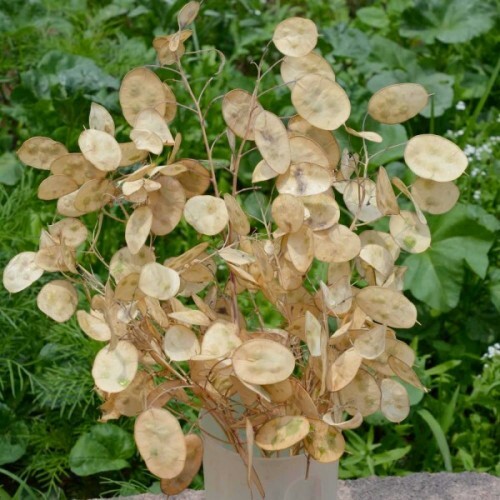 Approximately 10 seeds in 0.2g packet.The horned melon is a vining annual that can be grown prac..
Lunaria annua, called honesty or annual honesty in English, is a species of flowering plant nati..
One of the earliest varieties originating from seed sent to England in 1699 by Father CupaniLarg..